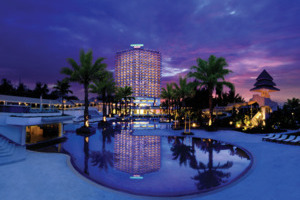 Courtyard Hua Hin is an impressive resort located on the golden sands of Cha Am Beach, a short distance from Hua Hin. A respected member of the prestigious Marriott hotel group, Courtyard Hua Hin offers excellent levels of comfort and luxury from a prime position in one of Thailand’s most beautiful coastal areas. 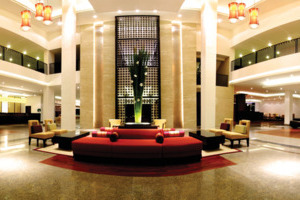 Boasting 243 guestrooms and suites, Courtyard Hua Hin impresses with its fine facilities, including 5 restaurants and bars. 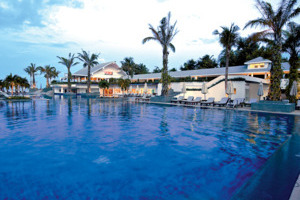 Courtyard Hua Hin Beach is four hours from Thailand’s capital city Bangkok. 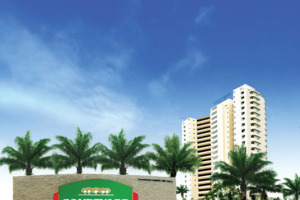 Courtyard by Marriott Hua Hin at Cha Am Beach, features all-sea view rooms with large balconies, located on the soft sands of Cha Am beach, giving easy access to both Cha Am and Hua Hin. With its wide range of recreational and entertainment facilities, this makes it the perfect choice for families or couples looking for a relaxing holiday in this popular beach destination with a number of fascinating sights and attractions nearby. The Deluxe Rooms at Courtyard Hua Hin offer a king size or queen size bed, plus a balcony from which to admire the spectacular views. Separate sitting and living areas are also included in these spacious rooms. 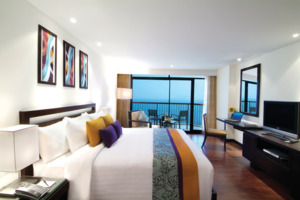 The One Bedroom Junior Suite at Courtyard Hua Hin 57sqm of living space, plus a king size bed and a balcony that allows you to overlook the ocean. Upgraded amenities include a sofabed and two televisions. The Executive Rooms at Courtyard Hua Hin are slightly larger than the Junior Suite and contains the same amenities, plus two televisions. The Seabreeze Suite is a vast suite at 197sqm and comprises a separate living area, dining room, two bathrooms and three balconies. Amenities include a king size bedroom and one bedroom with two double beds, plus a whirlpool bath in the bathroom. The Seabreeze Suite accommodates up to six people.